About Yau-Sun Tong Top of the World Expedition? Kung Fu & Tai Chi Master Yau -Sun Tong and I were able to talk and I learned through his spiritual words about his extensive travel? throughout the world with his camera in tow. The remote area of Southwest and Northwest China have a special spiritual appeal for him. I'm sure you will agree that his artistry? reflects a depth of rapport with his subjects that produces an intriguing cross-section of Tibetan culture and religious life. Yau believes? the spirit is in the place is foremost; taking the photograph is secondary. So take a moment for you,? and listen to this great interview on the perspectives from Yau-Sun Tong. Learn to See better by clearing the mind.Peter talk about how to improve your photography by relax your body. A relaxed ?mind ?helps to calm racing thoughts and be able to focus on better photography .Learn to stop looking and start seeing. Exploring from Corner Brook to St. Anthony, we will experience the rich land and sea while enjoying the friendly local people and culture. Highlights include two scenic boat tours, Norris Point, Gros Morne National Park, Lobster Cove Lighthouse, The Arches, Cow Head, Parson?s Pond, L?anse Aux Meadows, and so much more. A modern spacious coach will transport us through coastal and rugged landscape as you are provided guided tours, photography workshops, and one on one instruction. 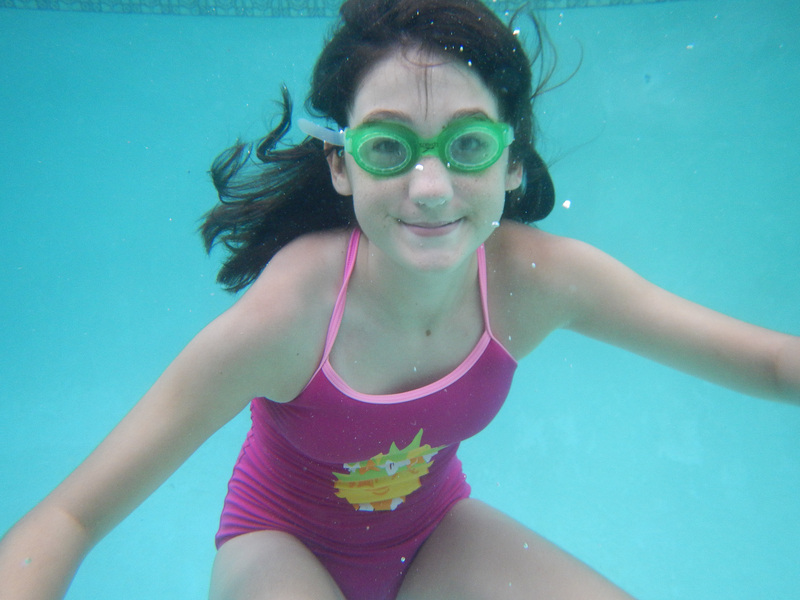 The smaller size of the group will provide an intimate and enjoyable atmosphere while you learn. The Spence?s will make this an unforgettable holiday adventure. Thanks so much for coming back to my Podcast. This podcast I'm joined by Rod Ward, he is a professional photographer in Moncton, NB Canada. Ron has been working in the field of photography for over 30 years. In this interview, he talks about his photography experiences from being involved in a devastating car crash to facing frightening circumstances in Bosnia as an International photojournalist. Ron will share how he had to avoid land mines as a photographer and what travellers can learn from war zone photography. Whether you are a beginner or more experienced photographer, I will provide you with some tips that will benefit your techniques and give you better results in achieving good photos. Simplicity in your work can be achieved with a few simple steps...find out how. Taking the simple approach to composition will make your photos even stronger. necessary meaning to capture the resilience and passion which guide his artistic vision. Photo Professors Episode 18: This month the Photo Professors discuss Light and Dark! They discuss the use of flash outdoors in daylight, and then welcome guest Howard Ignatius discuss to his work in night photography. Photo Professors Episode 16: This month the Photo Professors discuss some new products, a little Nikon history, the Adobe Cloud controversy and wrap up photography related quotes from John Steinbeck. This is an insightful interview that you don't want to miss!!! American fine art photographer John Sexton shares his insights and inspirations revealing his thoughts that contribute to his specialty in black and white photography. 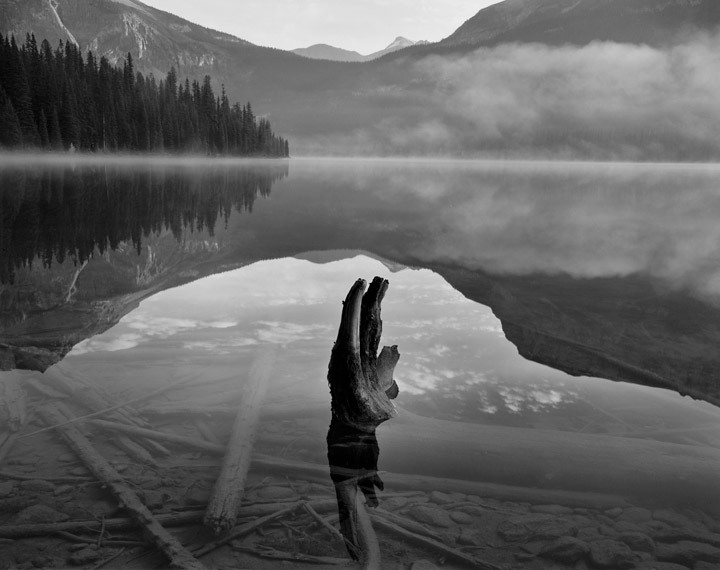 Sexton worked with Ansel Adams, first as Technical and Photographic Assistant, then later as a Technical Consultant. ©1988 John Sexton. All rights reserved. Photo Professors Episode 14: This month the Photo Professors discussing this year's ImagingUSA convention in Atlanta, and are joined by Pulitzer Prize winning photographer Deanne Fitzmaurice. Deanne should be familiar to all Nikonians as one of the co-founders of Think Tank Photo! Photo Professors Episode 13: This month the Photo Professors are joined by Image Doctor, Rick Walker. Together they Rick Walker's photography and his current equipment of choice. When Canadian Photographer Maurice Henri began his career as a professional photographer in 1988, he never imagined he would be helping hundreds of kids in Africa, Haiti, and other countries. It all started in an African village when he gave a little girl an orange. That orange eventually led to his project called "Cameras for Healing." Download this podcast. to Peter and Heather's interview with Maurice. Photo Professors Episode 12: This month the Photo Professors are joined by guest podcaster, Michael Mariant. Together they tackle the topic of Street Photography. They discuss some definitions of what Street Photography is, along with gear and techniques. Peter and Heather talk about their trip to Rome for the Canoniazation of the Blessed Kateri on October 21, 2012. Peter got lost in the Catacomb, Heather got the creeps and left Peter behind, yet again. Just when you think their spooky show ended at the last pod cast, October is not yet over. In this episode, Peter invites his business partner and fiancee, Heather, to join him. These two make a crazy duo on the funniest broadcast to date. Just in time for Halloween, discussion will be around the creepy stories while on a photo shoot, and the images captured. Photo Professors Episode 10: This month the Photo Professors are joined by guest podcaster, Digital Darrell Young! Together they discuss and compare their detailed experiences with the Nikon D800, D800E, and new D600 camera bodies. Photo Professors Episode 9: This month the Photo Professors interview World reknown photographer, writer, and inventor of the Lightsphere, Gary Fong! They also discuss recent product announcements from Nikon, recent Nikon product rumors, and wrap up with an inspiring quote from Gary Fong! Do you want to make that jump to becoming a Professional Photographer? However, just by picking up a camera and pushing a button does not make you a professional. Here are some great tips to become a pro, to market your photos, and to build your business. Photo Professors Episode 8: This month the Photo Professors Homework Assignment includes a contest to win a Think Tank Photo Retrospective 10 camera bag! The Photo Professors discuss Rick Paul's renewed interest in film photography, interview with photographer and studio owner Mark Korytowski, and interpret an inspiring quote from photographer Freeman Patterson. Photo Professors Episode 7: The Photo Professors review the new Nikon 85mm AF-S f/1.8G lens, new products from ThinkTank, interview with Nikonians Academy Instructor, Photographer, and Author Steve, and interpret an inspiring quote from Steve. Download Nikonians Photo Professors #6 (NPC-PP-2012-07.mp3;44:51;MP3 format)"
Welcome to Nikonian- Northern Exposure, with renowned photographer Peter Spence. Peter finds his inspiration, not by other photographers, but from the old masters of the Renaissance and Impressionist period. These old techniques will inspire your photography to a new level of awareness that you never experienced before. Peter will show how the world famous Henri Cartier Bresson applied his painting skills to create his incredible journey into photography. 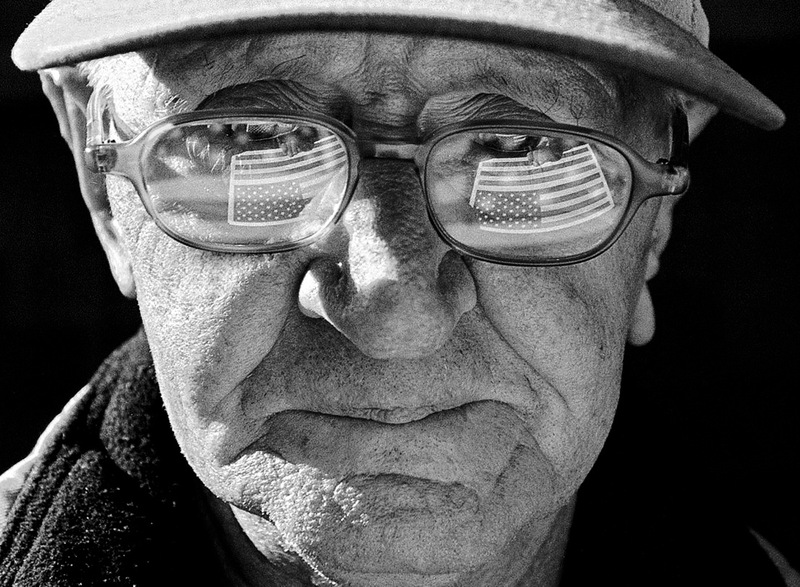 On this edition of Behind the Lens, Ray interviews American photographer David Akoubian. David has been working as a writer and nature photographer for many years and has taught workshops with several different companies including the Great American Photography Weekends and the Showcase School. Photo Professors Episode 6: The Photo Professors discuss Rick Hulbert's recent Photo Workshop experiences, his impressions of the Nikon D800E, interview with World renowned Portrait and Wedding photographer Neil van Niekerk, and interpret an inspiring quote from photographer Diane Arbus. Download Nikonians Photo Professors #6 (NPC-PP-2012-06-05.mp3;50:26;MP3 format)"
Welcome to Nikonian- Northern Exposure, with renowned photographer Peter Spence. For this edition, Peter will discuss questions sent in by listeners concerning rumors surrounding the 600 Digital SLR camera; he?ll also share his experience at a Boston-based seminar hosted by world famous photographer, Art Wolfe. Photo Professors Episode 5: The Photo Professors discuss the new Nikon D3200 camera, interview photographer Marc Koegel, and interpret an inspiring quote from Dorothea Lange. 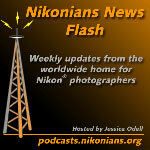 Download Nikonians Photo Professors #4 (NPC-PP-2012-05-07.mp3;38:22;MP3 format)"
Welcome to Nikonian- Northern Exposure. Nikon photographers Peter Spence will talks about the TIPA Awards 2012 for the D5100 and D800 digital SLR cameras and the SB-910 Speedlight. Peter Spence talks about how to open up doors to many different cultures and events. Photo Professors Episode 4: The Photo Professors review a new book by Joe McNally, interview with Nikonian Darrell Young, and interpret an inspiring quote from Galen Rowell. Download Nikonians Photo Professors #4 (NPC-PP-2012-04-12.mp3;50:30;MP3 format)"
Welcome to Peter Spence, host of our newest podcast series Nikonians Northern Exposure. Peter hails from Canada (which gives us a clue to the origin of the podcast series name). Welcome to the first show of the new Nikonians Northern Exposure Podcast brought to you by Peter Spence from Canada. In his first show Peter is talking about improving the sharpness of one Photograph images. This is design for beginners to Professional Photographers. Photo Professors Episode 3: The Photo Professors getting a sharp image and they reinterpret a famous quote from Robert Capa. On this edition of Nikonians Behind the Lens, Ray speaks with Belgian photographer Pascal Baetens. -www.pascalbaetens.com and "Friends of Pascal"
Added by rayvaldovinos | October 17, 2011 12:39 AM Ray speaks with Minneapolis, Minnesota USA photographer Larry Anderson about architectural photography. Rick and Jason offer their take on the new Nikon 1 Mirrorless camera system, discuss photographing fall colors, and preview Nik Software's Color Efex Pro 4.0 fiter plug-in. Jason & Rick explore the fundamentals of flash photography, including settings and recommended models for Nikon shooters. Jason & Rick discuss retouching, multiple exposure, and answer listener questions about lighting kits. Rick and Jason interview freelance photographer Deborah Sandidge, who discusses her book on infrared photography and photographing Cuba. Added by rayvaldovinos | August 6, 2011 4:40 AM Ray speaks with Scott Kelby, Photographer, Editor of Photoshop User Magazine and much more. Rick and Jason interview wildlife photographer Laurie Excell. Jason traveled to Florida to see the final shuttle launch, and the "doctors" announce a new photo workshop. Jason & Rick discuss their current gear and workflows, and then explore the realm of really large prints. -D3 buffer upgrade. Just weeks left. Jason is joined by Brian Hatch to fill in for Rick Walker, who is on travel. Brian recently returned from shooting in Ghana and Sierra Leone. This week Ray speaks with Henry Posner. Director of Corporate Communication for B&H Photo. -B&H Photo Forum "Ask B&H Photo"
Jason's guide to Silver Efex Pro 2.0 is out! -What is the most notable feature of the D5100? -What other advances are found in the D5100? -Where will manufacturers concentrate their research in the future? -What is the current state of DSLR video? 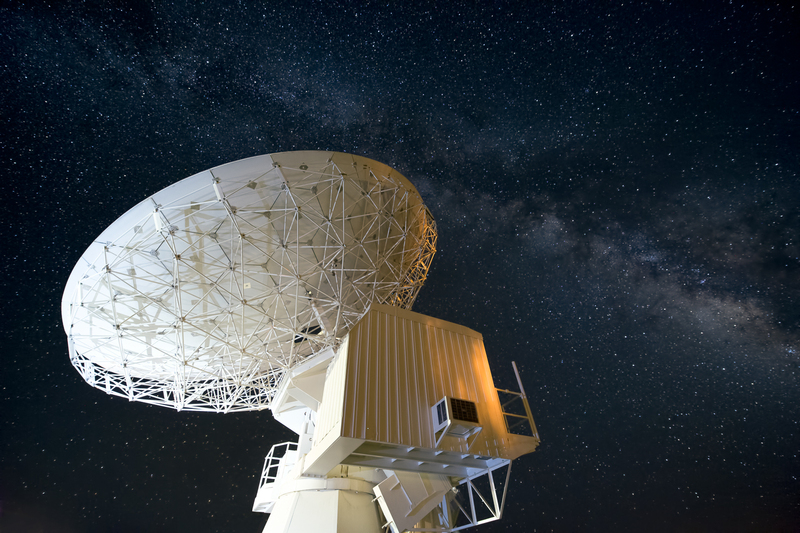 -Will we see digital evolution stop? -Will we see pro level quality in less expensive consumer cameras? -What is your goal when writing a new book? Jason & Rick are back from leading their photo safari to the Oregon coast. Jason & Rick discuss digital infrared (IR) photography techniques and gear. Jason & Rick preview the new Nikon D5100 DSLR and interview Phase One's VP of Research and Development, Claus Mølgaard. Jason & Rick discuss photography contests and review the LowePro Street & Field Modular system. Jason & Rick interview the talented Miss Aniela, who discusses her artistic self-portrait photography. This just in: We've rescheduled the Tamron 17-50mm lens giveaway for Saturday, April 2nd from 3:00-3:15pm EDT. Check back at blog.nikonians.org for more details! Download the official contest announcement here. Today on News Flash Extra, Ray speaks with Jim Clark, founder of PocketWizard and Dave Schmidt his Vice President for Sales and Marketing. This Episode is sponsored by Tamron USA and the new SP 17-50mm F/2.8 Di-II VC. Take advantage of the $50 Mail In Rebate offered by Tamron USA. Win a Tamron 17-50mm Lens from The Image Doctors! The Image Doctors are pleased to announce that one lucky listener in the USA will be the winner of a brand-new SP AF 17-50mm f/2.8 Di II XR VC LD Aspherical lens from Tamron USA! Contest is open to legal residents of the United States only. To enter the contest, please leave a comment in this blog post between 3:00pm and 3:15pm Eastern Time on Saturday, March 19th, 2011. Be sure to include your name and a valid email address in your post so that we may contact you. From the responses received within the appropriate time-frame, one lucky winner will be drawn at random. We'll announce the winner on the March 24th Episode of The Image Doctors! Nikonians News Flash podcaster Ray Valdovinos extends his invitation to you to join in on the show! Rick and Jason interview UK product/interior photographer David Cleveland. Jason & Rick are back from their hiatus with another exciting episode for 2011! This week is part two of a two-part interview with Darrell Young. -Darrell offers information on his published books and those upcoming. -Is one Nikkor lens better than another Nikkor? -Darrell's thoughts on the new Nikkor lenses-aren't the old lenses good enough? Jason shot the lunar eclipse, Rick did HDR in California, and we have special guest Tony Sweet with a special announcement! -Tamron's new 18-270 "Do it all lens"
Jason and Rick celebrate the 5th anniversary of The Image Doctors! It's time for The Image Doctors' sixth annual holiday gift ideas epsiode! Jason gives his report on Photo Plus Expo 2010 in New York City, and the doctors discuss how to set up a low-cost home studio. Added by drjay32 | October 28, 2010 6:00 AM Rick was able to try out Nikon's new FX lenses, the 28-300 AFS VR and the 24-120 f/4 AFS VR. Jason is leading a photo workshop to the Everglades in 2011. Added by drjay32 | October 14, 2010 6:00 AM Jason and Rick are back from their Moab photo safari. This week the doctors discuss Nik Software's new HDR Efex Pro plug-in with product manager Josh Haftel, and Jason has a hands-on report of the new Coolpix P7000. Added by drjay32 | September 30, 2010 6:00 AM | Comment Jason and Rick interview photographer Jon Ortner, master of photographing some of the world's most spiritual places, including the American Southwest. Added by drjay32 | September 16, 2010 2:00 PM | Comment Jason and Rick review the new 85mm f/1.4 AFS G Nikkor, do some night shooting, and discuss moving from an older DSLR to a D90 with their friend, David Gabrius. Added by drjay32 | September 2, 2010 6:00 AM Jason and Rick interview Dr. Paul Hamilton from Reptile and Amphibian Ecology International. Today on News Flash Extra, Ray speaks with Jack Howard. 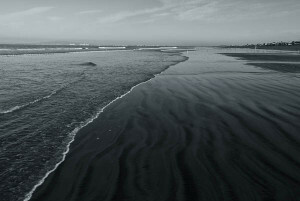 Jack is a New Jersey based photographer, author, podcastor and photographic educator. Topics of conversation include Jack's photo bio and his new book, Practical HDRI 2nd Edition. Added by drjay32 | August 19, 2010 6:00 AM The Image Doctors are joined by David Tejada in the studio for a "Photographer's Round Table." Added by drjay32 | August 5, 2010 6:00 AM The Image Doctors are back with a potpourri of topics they'd like to call "Things we've learned from our mistakes>"
This week on News Flash Extra, Ray speaks with David Friend CEO and co-founder of Carbonite discussing image security. Today on News Flash Extra, Ray speaks with Sandra Nykerk. Added by drjay32 | July 8, 2010 6:00 AM | Comment Rick and Jason discuss the increasing popularity of smart phones as camera accessories, review the Think Tank Retrospective Bags, and offer another edition of "the back story." about their wireless memory cards. Nikon 200-400 VRII in stock at Berger Brothers-Discounted too-Hurry!! Added by drjay32 | June 24, 2010 7:00 AM Jason and Rick give a field report on their Colorado Landscape Workshop, Rick travels to California to interview Tom Hogarty from Adobe about Lightroom 3, and the doctors review the Tamron 10-24mm f/3.5-4.5 Di II lens. Added by drjay32 | June 10, 2010 6:00 AM | Comment Jason and Rick got the chance to interview fellow Nikonian Alan "Dex" Poindexter, a NASA astronaut who commanded the recent STS-131 space shuttle mission to the International Space Station. Check out the photos that Dex brought back from his mission! Added by drjay32 | May 27, 2010 6:00 AM This week, we're happy to interview the team that brings us Photo Mechanic, a great workflow tool from Camerabits software. Jason's new eBook, The Photographer's Guide to Digital Landscapes is now out, and our prescription is taken from its pages! Added by drjay32 | May 13, 2010 7:00 AM Ever wondered what exactly the big deal is with video being added to DSLRs? We catch up with our friend, Michael Mariant, who enlightens us on the use of a DSLR for professional cinematography. Added by drjay32 | April 29, 2010 6:00 AM Jason & Rick are pleased to announce their fall Photo Safari in Moab, Utah! In this episode, we also discuss the use of depth of field as a creative tool, and Rick gives his first impressions of the new Nikkor 24mm f/1.4 AFS lens. Added by rayvaldovinos | April 25, 2010 3:36 AM Today on News Flash Extra, Ray speaks with Nikonians co-founder J. Ramón Palacios (jrp). -Nikon 24mm 1.4 availability-Rent it! Added by drjay32 | April 15, 2010 6:00 AM Rick is back from vacation, and not only did he field test the new 16-35mm VR, but he also made a visit to David Tejada's "Small Strobes, Big Results" workshop. If you want to shoot landscapes with Jason & Rick this summer, we've got our own workshop planned June 11-14th! Added by drjay32 | April 1, 2010 12:06 AM No foolin'! Rick Walker is on vacation, but Jason has got an interview with Rick Paul, who has been slowly making the transition to full-time pro with his wedding and portrait photography business. -eZine 145 ready for download-"Nikonian in Space"
Added by drjay32 | March 18, 2010 6:00 AM Jason returns from a week in the Everglades, and then the doctors answer the most frequently asked questions they receive. Added by drjay32 | March 4, 2010 6:00 AM Jason & Rick have received their Nikon 16-35mm f/4 G zoom lenses and give their initial impressions in a FX-format super-wide shootout! Also in this episode, we introduce "The Back Story," where the doctors give the behind the scenes details of some of their favorite images. -Nikon Press Conference Feb 23rd? Nikon has announced two new wide-angle Nikkors. Jason and Rick interview Nikon Legend Bob Krist, who shot the marketing campaign for these lenses for Nikon. We'll also give our hands-on preview of the new TC-20E III teleconverter. Lastly, check out our Video Prescription! Just in time for the Super Bowl, Jason and Rick interview former NFL player turned-photographer, Tony Mandarich. Tony specializes in boudoir/glamour photography. Let's just say we are jealous. This week Ray passes along the latest photographic news relating to Nikon. -Hatch meets Lorimer- or Afghanistan meets New Zealand. A good time was had by all! Rick is back from Thailand, and Jason has a hands-on review of the Nikon D3s! 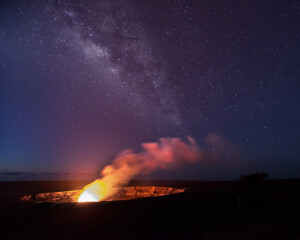 Be sure to check our Facebook Page for a video slideshow of Rick's images. Happy New Year from the Image Doctors! Rick and Jason discuss their new year's resolutions and the art of composition. We thought it might be interesting to find out what Nikonians are doing around the globe. 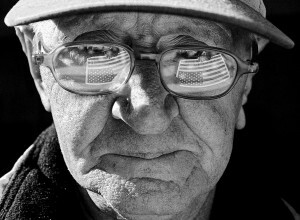 Today on News Flash Extra, Ray speaks with Nikonian Brian Hatch from Afghanistan. Brian is working there as a paramedic. Rick heads to Adobe headquarters in San Jose, California to interview Tom Hogarty, Lightroom product manager. 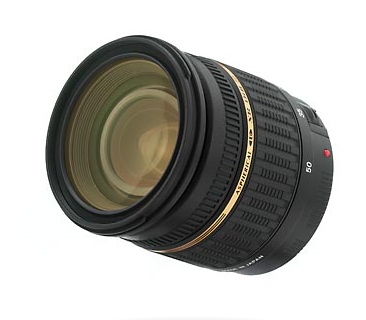 Jason and Rick present their first hands-on review of the new 70-200mm f/2.8G AFS VRII Nikkor lens. Jason and Rick have the opportunity to discuss modern aspects of film scanning with Gerhard Wolff from Lasersoft Imaging, and then discuss how to shoot panoramic images. It's time for Rick and Jason's annual Holiday Gift Ideas episode! Sit back and relax as the "doctors" fill your head with photographic pleasantries. — WiFi on board Nikon's next generation DSLRs? Jason and Rick comment on the new Nikon D3s and 85mm DX Micro Nikkor lens, and then bring you a discussion on event photography. In this episode of The Image Doctors, Jason and Rick discuss everything you need to know about getting started with a DSLR. We'll give tips for beginners, and provide information for experienced users to help them give advice to their friends. Rick and Jason are in Rocky Mountain National Park to host the 2009 Image Doctors Photo Safari. It's the 100th episode of The Image Doctors! Jason & Rick celebrate with an exclusive interview with Nikon Legend Joe McNally! Rick and Jason interview Adobe "Evangelist" Julieanne Kost, who gives tons of advice on how to use Photoshop and Lightroom. Jason & Rick had some interesting weekend travels to share, including the rainforests of Panama and martini bars in Florida! Jason & Rick discuss the new Nikon product announcements, and then share their thoughts on film emulation software plug-ins. Jason & Rick travel to Denver for some nice micro-brew and (more importantly) to interview industrial/commercial photographer David Tejada. Jason & Rick discuss migrating to the FX format and offer their thoughts on where the photography market is headed. Jason & Rick explore the subject of flower photography in this week's episode. This episode proudly brought to you by Tamron, makers of fine optics for your Nikon camera. This week, Arnold Crane joins Jason as our guest podcaster, filling in for Rick, who is on vacation. Hear about Arnold's projects and how he plans to convert some of his older Leitz lenses to F-mount. Tune in to your weekly edition of the Nikonians News Flash Podcast for all the very latest news from our friendly Nikonians Community, brought to you this week by Tamron - a leading manufacturer of digital camera lenses for all photographic situations. Experience the award-winning mega zoom Tamron 18-270mm with "VC" Vibration Compensation. This week: The "Pro vs. Amateur Gear" debate, multiple exposures, Image Doctors Photo Safari announced. 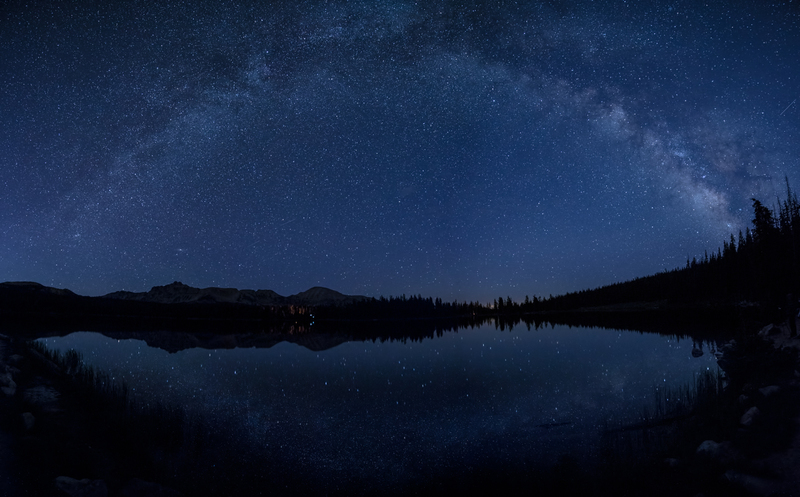 Join the Image Doctors this fall for a photo safari in Rocky Mountain National Park. This week on the Image Doctors: Nikon Coolpix P6000 hands-on review, image diagnosis, and announcing a photo workshop for 2009! Tune in to your weekly edition of the Nikonians News Flash Podcast for all the very latest news from our friendly Nikonians Community. The Image Doctors discuss new product announcements from Nikon and offer quick fixes for common image problems. This week, learn about people/travel photography from Nikonians Academy instructor Michael Mariant. Blocked, bored, uninspired. Martin apologizes for this somewhat depressing podcast about photographer's block and his vague attempts to give advice to others when not even being able to get out of the hole himself. 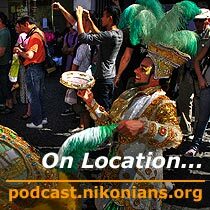 Click here to download Nikonians On Location Podcast #57 (NPC-OL-2009-03-30; 17:57; MB, MP3 format). On Location postponed... again... sorry! Once again Martin regrets to have to announce that there will be no On Location podcast or slide show this week. As a consequence of the many delays lately he has decided to make the show biweekly and publish new episodes alternating with the Image Doctors every two weeks. Jason and Rick return from Florida with thousands of images of birds! This time using a ringflash of the more classical type - for macro photography. The Metz Mecablitz 15 MS-1 is in reality two small flashes mounted on a ring, which rides in front of the lens. 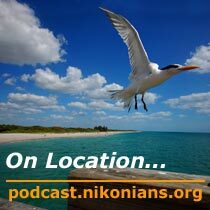 Click here to download Nikonians On Location Podcast #56 (NPC-OL-2009-03-16; 21:16; 19.4MB, MP3 format). Shooting the models Camilla and Louise in a large rotunda in a part of the University of Copenhagen. Fun with the Orbis Ringflash Adapter and more classical light using umbrellas. 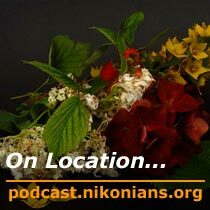 Click here to download Nikonians On Location Podcast #55 (NPC-OL-2009-03-09; 23:10; 21.5MB, MP3 format). This week, Rick and Jason discuss shooting butterflies with the R1C1 speedlight, and review two new bags from Think Tank Photo. Martin Joergensen's shoot of the models Camilla and Louise this weekend will be covered in next week. Both the amount of post processing and paid work has Martin bogged down, and he excuses not being able to finish his podcast and slide show on schedule. Talking about two very different subjects: snowy landscapes and model shoots. First a small trip into the winter landscape, some talk about working on the images and then some thoughts on getting hold of models for model shoots. 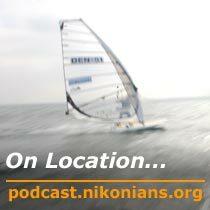 Click here to download Nikonians On Location Podcast #54 (NPC-OL-2009-02-23; 36:31; 33.5MB, MP3 format). Due to extensive travel schedules of our podcasters, The Image Doctors will be back at its regularly scheduled time on Thursday, March 5th. This week I focus on visual noise, which is the kind of clutter that meets the eye when looking in messy garages, on chaotic bulletin boards, at random collections of things. Click here to download Nikonians On Location Podcast #53 (NPC-OL-2009-02-16; 13:23; 12.3MB, MP3 format). Martin regrets to have to inform you that work - the paid kind - have kept him busy all week, and will so the coming few days, so On Location is in hiatus this week - in spite of a couple of sunny days and lots of photo ops. But fret not, Martin promises to be back in full force the coming week. This week, Rick and Jason discuss the merits and pitfalls of adding an alternative system to your kit. More HDR, this time concentrating on the process and the software. Martin addresses some of the common problems found in HDR's - misalignment, ghosting and halos - and gives advice on avoiding them. The show ends with some references to further reading, online and off. 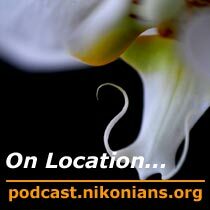 Click here to download Nikonians On Location Podcast #52 (NPC-OL-2009-02-02; 34:17; 31.4MB, MP3 format). The first episode of at least two on HDR - High Dynamic Range - this time dealing with the concept of dynamic range and the principles of capturing HDR. Martin Joergensen covers setting up the camera and shoots the first few frames in his home, after which he ventures into the dark Copenhagen night to capture some night HDR's. 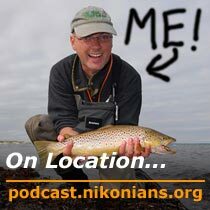 Click here to download Nikonians On Location Podcast #51 (NPC-OL-2009-01-26; 35:45; 32.6MB, MP3 format). This week, the Image Doctors review a new tool for focus calibration and discuss the virtues of "going light". Celebrating the 50th episode of the On Location podcast Martin Joergensen gives himself the assignment of shooting the numbers 1-50. 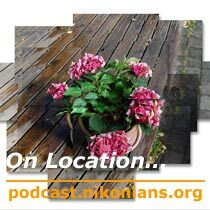 Click here to download Nikonians On Location Podcast #50 (NPC-OL-2009-01-19; 17:21; 15.9MB, MP3 format). Riding around in the Danish January landscape on the lookout for some shooting options. No mountains, no great vistas and only few places completely undisturbed. But lots of naked trees. 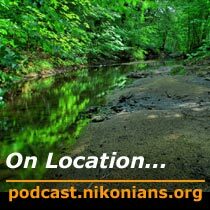 Click here to download Nikonians On Location Podcast #49 (NPC-OL-2009-01-12; 19:10; 17.5MB, MP3 format). The Image Doctors review two new 50mm f/1.4 lenses, the 50mm f/1.4 AFS-G Nikkor and Sigma's 50mm f/1.4 EX DC HSM. This time Martin Joergensen is shooting fishing flies for a series of online articles and uses his usual home studio setup with a ringflash and a snooted SB800 as a backlight. 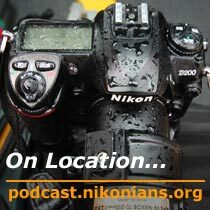 Click here to download Nikonians On Location Podcast #48 (NPC-OL-2009-01-05; 30:39; 28MB, MP3 format). A criminal always returns to the scene of the crime, and On Location's Martin Joergensen thought he'd celebrate the podcast's one year anniversary by returning to the location where he shot the first On Location podcast. Shooting a few foggy shots and thinking back through the year that passed. 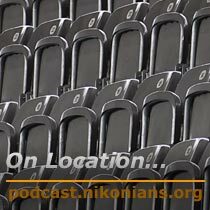 Click here to download Nikonians On Location Podcast #47 (NPC-OL-2008-12-29; 21:19; 19.5MB, MP3 format). Happy Holidays from The Image Doctors! This week, Jason & Rick interview Josh Haftel, Product Manager for Nikon Capture NX2. Last minute and with a slight delay: On Location's Martin Joergensen is making a few presents from images. Prints are always a great gift, so get your production out on paper and give it away! 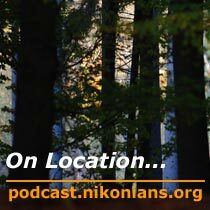 Click here to download Nikonians On Location Podcast #46 (NPC-OL-2008-12-23; 17:43; 16.5MB, MP3 format). The Nikonians On Location #45 - Yeah Baby! On Location's Martin Joergensen has had some fun with the new Lens Baby system, and gives you an intro to this very different lens. 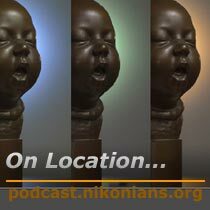 Click here to download Nikonians On Location Podcast #45 (NPC-OL-2008-12-15; 30:57; 29MB, MP3 format). Nikon has announced the D3x! Get The Image Doctor's thoughts on this groundbreaking new Nikon DSLR. Christmas time is a great time to shoot in the darkness - not least because its dark a lot of the time - at least in the northern hemisphere. 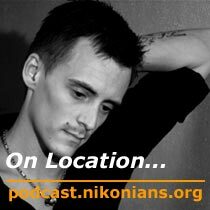 Click here to download Nikonians On Location Podcast #44 (NPC-OL-2008-12-08; 22:24; 20.5MB, MP3 format). On Location's Martin Joergensen attended the launch of the D3x in Copenhagen and reports briefly from the event. Click here to download Nikonians On Location Podcast #43 (NPC-OL-2008-12-01; 16:14; 15MB, MP3 format). This week, the Image Doctors give their annual holiday gift ideas. Many thanks to Roberts Imaging for sponsoring this week's episode! Looking for an Image Doctors Episode? Check the show archives here. The On Location podcast will unfortunately not be out this week. Work and other issues have kept Martin on the heels with regards to photography the past week, and as much as he would love to shoot and record, there simply hasn't been time in the itinerary. On Location will be back in full force next week. Until then you may enjoy some archived episodes, reading Martin's blog or spend some time cooking up ideas for Martin to cover in the coming episodes. Mail them to him at onlocation@nikonians.org or post them in the Podcast feedback forum. Martin Joergensen does a quick run-through his crude editing process and admits to the fact that he is still a Photoshop-man. 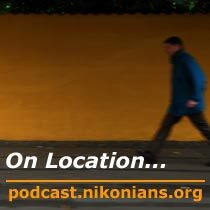 Click here to download Nikonians On Location Podcast #42 (NPC-OL-2008-11-17; 16:48; 15.3MB, MP3 format). This week, the Image Doctors interview Tom Hogarty, Product Manager for Adobe Lightroom 2.0. You'll learn all about Adobe's latest version of Lightroom in this podcast. Seeing your images on print can be very rewarding, and even though many photographers never make prints any more, others say that it ain't a real picture until it's printed. 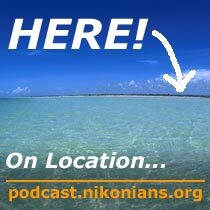 Click here to download Nikonians On Location Podcast #41 (NPC-OL-2008-11-10; 32:26; 29.6MB, MP3 format). Martin Joergensen is on location at his computer as well as walking the dog in a nearby park, and talks a bit about image storage problems and how to dig out pictures from the archives. 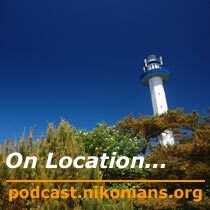 Click here to download Nikonians On Location Podcast #40 (NPC-OL-2008-11-04; 17:44; 16.5MB, MP3 format). Rick and Jason discuss Yosemite National Park. Shooting models at a Strobist Meetup in Copenhagen. Photographers and models getting together and shooting with off camera flashes. 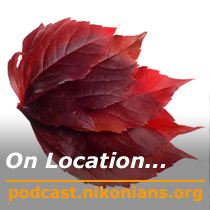 Click here to download Nikonians On Location Podcast #39 (NPC-OL-2008-10-27; 17:45; 8.1MB, MP3 format). 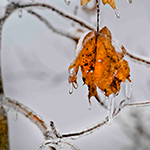 Martin Joergensen has caught autumn in several ways: outdoors in the withering forest, indoors in the form of leaves on a white background... and in the shape of a cold. So this time he will lead you through a sniffing and nose dripping fall episode of On Location. 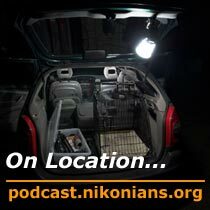 Click here to download Nikonians On Location Podcast #38 (NPC-OL-2008-10-20; 19:21; 13.7MB, MP3 format. or NPC-OL-2008-10-20; 19:21; 14.3MB, Apple M4A format - no embedded images). Video supplement available here (NPC-OLV-2008-10-20; 7:55; flash format). Rick and Jason interview Associated Press photographer and fellow Nikonian Michael Mariant. On Locatin's Martin Joergensen had the chance to shoot windsurfers at a championship in Denmark. The day was a bit dull, but good images were caught anyway - and a few lessons on high speed sailing were learned. Click here to download Nikonians On Location Podcast #37 (NPC-OL-2008-10-13; 19:21; 9.5MB, MP3 format). Video supplement available here (NPC-OLV-2008-10-13; 7:02; flash format). Nikonian podcaster Martin Joergensen experimenting with wireless flash in the darkness. Just for fun, nothing big, and no great results - creatively at least. Click here to download Nikonians On Location Podcast #36 (NPC-OL-2008-10-06; 22:46; 21MB, MP3 format). Video supplement available here (NPC-OLV-2008-10-06; 4:39; flash format). Jason and Rick offer tips on shooting fall colors, and discuss manual focus lens techniques for digital users. A different and much more product centered On Location podcast with impressions from Photokina in Germany and interviews with some interesting people about some interesting products. Click here to download Nikonians On Location Podcast #35 (NPC-OL-2008-09-29.mp3 31.5MB, MP3 format). Video supplement available here (NPC-OLV-2008-09-29; 6:30; flash format). Some thoughts about the model shoot in the forest by the stream. We had four models dressed up as a bird-like lady, a witch, a troll and an elf. Click here to download Nikonians On Location Podcast #34 (NPC-OL-2008-09-22; 20:56; 19.5MB, MP3 format). Video supplement available here (NPC-OLV-2008-09-22; 6:05; flash format). Black and White extravaganza! Rick and Jason dedicate this entire episode to processing digital images into beautiful black & white photographs, and review a new plug-in, Nik Silver Efex Pro. This is an enhanced (MP4) podcast with embedded images. Read the show notes if you prefer to download the MP3 version of this episode. Literally... Martin has been out fishing these past few days and must regretfully announce that he has concentrated more on scaly creatures than on Nikonians (with good luck he says). Because of this the podcast On Location is cancelled this week, but will be back in full force next Monday. Rick and Jason travel to Indianapolis to shoot the 2008 Indianapolis Air Show. For the first time, this episode is presented in AAC format with embedded images, viewable in iTunes, or on video-capable players. For an MP3 audio-only version of this episode, check the show notes for the download link. An eclectic podcast with Martin Joergensen - briefly covering the D90, a strobist meetup and shoot and scouting for locations. Click here to download Nikonians On Location Podcast #32 (NPC-OL-2008-09-01; 18:18; 8.5MB, MP3 format). Video supplement available here (NPC-OLV-2008-09-01; 7:26; flash format). Nikonian Martin Joergensen trying to catch the sense of rain with the camera. Wet streets, drops, water running, people with umbrellas. How to shoot the rain and prepare for rough weather. Click here to download Nikonians On Location Podcast #31 (NPC-OL-2008-08-25; 17:04; 7.8MB, MP3 format). Video supplement available here (NPC-OLV-2008-08-25; 8:48; flash format). 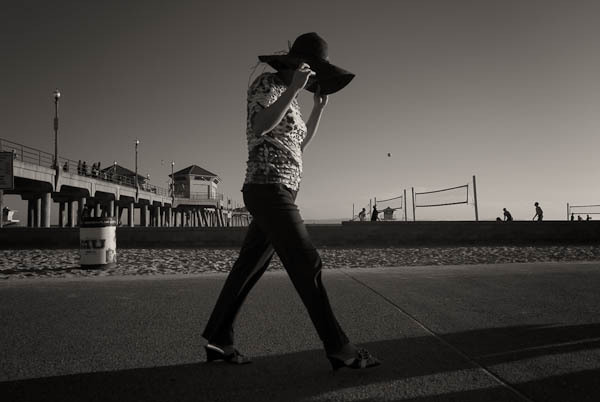 Here is Part II of Rick and Jason's interview with photographer and author Thom Hogan. This week, Jason and Rick sat down with popular photographer and author Thom Hogan. Due to the length of the interview, we've split this episode into two parts. Nikonian Martin Joergensen packing and getting ready and then shooting a place that he had visited many times before - but never with a camera. It wasn't quite as he remembered. Click here to download Nikonians On Location Podcast #30 (NPC-OL-2008-08-20; 42:24; 19.4MB, MP3 format). Video supplement available here (NPC-OLV-2008-08-20; 9:33; flash format). A short intro to using filters - gels - on flashes with examples of their different uses. 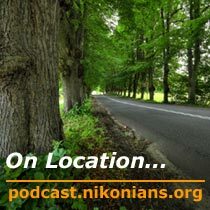 Click here to download Nikonians On Location Podcast #29 (NPC-OL-2008-08-12; 22:45; 20.8MB, MP3 format). Video supplement available here (NPC-OLV-2008-08-12; 8:12; flash format). Jason and Rick made their annual trip to the summit of Mt. Evans Colorado, and brought along some new toys, including the Nikon D700. Hear their account of the shoot and get their first impressions of the new Nikon DSLR. Martin Joergensen went on location shooting fast paced race cars at the Copenhagen Historical Grand Prix. Fun with a Nikon D3 and a 300mm f2.8 as well as a couple of D200's with assorted lenses - 24mm, 10-20mm, 17-55mm, 70-200mm - and SB800's on top to soften the sunlight. Click here to download Nikonians On Location Podcast #28 (NPC-OL-2008-08-06; 26:35; 12.1MB, MP3 format). Video supplement available here (NPC-OLV-2008-08-06; 10:18; flash format). A quick run through a bunch of pictures shot during a Berlin vacation - with the focus on patterns. Click here to download Nikonians On Location Podcast #27 (NPC-OL-2008-07-29; 20:49; 9.5MB, MP3 format). Video supplement available here (NPC-OLV-2008-07-29; 7:54; flash format). Due to a busy schedule and a short holiday break the podcast "On Location with Martin Joergensen" will skip an episode this week. Martin will be back in the coming week with a new and fresh show. Martin embarks on a crazy mission to shoot out the side window of his car while driving around town... shoot pictures that is. Click here to download Nikonians On Location Podcast #26 (NPC-OL-2008-07-15; 17:15; 7.9MB, MP3 format). Video supplement available here (NPC-OLV-2008-07-15; 8:05; flash format). FX or DX? Jason and Rick discuss the merits of each Nikon DSLR format in this week's episode, along with their thoughts on the newly announced Nikon D700. Inspired by some pictures in a magazine Martin takes on creating a dark mood in a small makeshift, tabletop studio using black background paper and a couple of flashes. He shoots dry flowers and leaves and plays with different subjects once the light is set up. Click here to download Nikonians On Location Podcast #25 (NPC-OL-2008-07-07; 38:48; 17.7MB, MP3 format). Video supplement available here (NPC-OLV-2008-07-07; 8:58; flash format). Martin Joergensen giving himself the assignment of taking pictures with a distinct line going horzontally through the center. Shot some for the purpose, but also manipulated some in Photoshop. Click here to download Nikonians On Location Podcast #24 (NPC-OL-2008-07-02; 18:22; 8.6MB, MP3 format). Video supplement available here (NPC-OLV-2008-07-02; 4:43; flash format). Jason and Rick discuss their trip to Dallas Texas to teach at the Nikonians Academy Advanced Workflow Workshop, and then discuss Rick's photo safari to Olympic National Park. A fun and educating day of shooting the Danish rockband LadyLike together with fellow Nikonian Alexander Orstrom. Indoors and outdoors and a lot of off camera flash. Click here to download Nikonians On Location Podcast #23 (NPC-OL-2008-06-24; 20:10; 9.2MB, MP3 format). Video supplement available here (NPC-OLV-2008-06-24; 10:55; flash format). This time Martin is sticking a lot of individual images together to form collages. He covers the way of shooting them and how to create controlled chaos in the result. 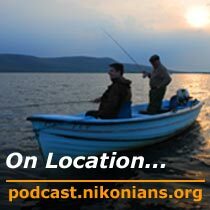 Click here to download Nikonians On Location Podcast #22 (NPC-OL-2008-06-16; 21:36; 10.1MB, MP3 format). Video supplement available here (NPC-OLV-2008-06-16; 6:30; flash format). Jason and Rick discuss the latest in inkjet technology with an HP Engineer. Then, listen as Jason and Rick break down Nikon Capture NX 2.0 in their detailed hands-on review. I was is having fun shooting the flowers of an orchid growing in a pot on the table right in front of me. 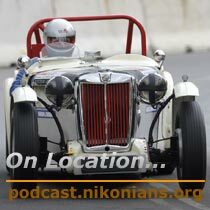 Click here to download Nikonians On Location Podcast #21 (NPC-OL-2008-06-09; 17:50; 8.3MB, MP3 format). Video supplement available here (NPC-OLV-2008-06-09; 5:22; flash format). The polarizer can do a lot for some images and Martin covers different uses and aspects of this interesting filter. Click here to download Nikonians On Location Podcast #20 (NPC-OL-2008-06-04; 35:10; 16.5MB, MP3 format). Video supplement available here (NPC-OLV-2008-06-04; 7:40; flash format). Jason and Rick revisit the AF-ON button technique, and review Nikon's Multi-CAM 3500 autofocus module found in the D3 and D300 DSLRs. They also review the Viveza plug-in from Nik Software, which gives Photoshop and Aperture users access to Color Control Points. Trouble in... Ireland. Not quite paradise, but almost, when you're not fighting failing batteries, wrong camera settings and harsh weather. 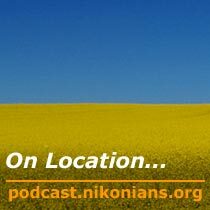 Click here to download Nikonians On Location Podcast #19 (NPC-OL-2008-05-27; 23:09; 10.8MB, MP3 format). Video supplement available here (NPC-OLV-2008-05-27; 7:51; flash format). On Location's Martin Joergensen was out to shoot people running more than 42 kilometers or 26 miles in just a couple of hours and then some. 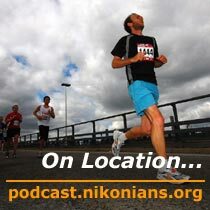 Click here to download Nikonians On Location Podcast #18 (NPC-OL-2008-05-19; 14:55; 7MB, MP3 format). Video supplement available here (NPC-OLV-2008-05-19; 7:12; flash format). This week, the Image Doctors go back into the past to discuss the Nikon F5 SLR. They'll also offer their advice for using modern digital editing software maximize quality of scanned film images. The annual Copenhagen carnival starts with a parade through the center of town and Martin Joergensen is on location to get some shots.